Key words: American Revolution, Independence from Britain, Eighteenth Century, Spy Stories, Colonial Life. Modlin is an author, naturalist, lecturer, photographer, and traveler. Armed with a PhD, an MS, and a BS in biological sciences, Modlin is professor emeritus at the Universityh of Alabama in Huntsville; a senior research associate with the Smithsonian Institution’s National Museum of Natural History; a Fulbright research scientist at the University of Lund, Sweden; and director of the University of Alabama in Huntsville’s honors program. 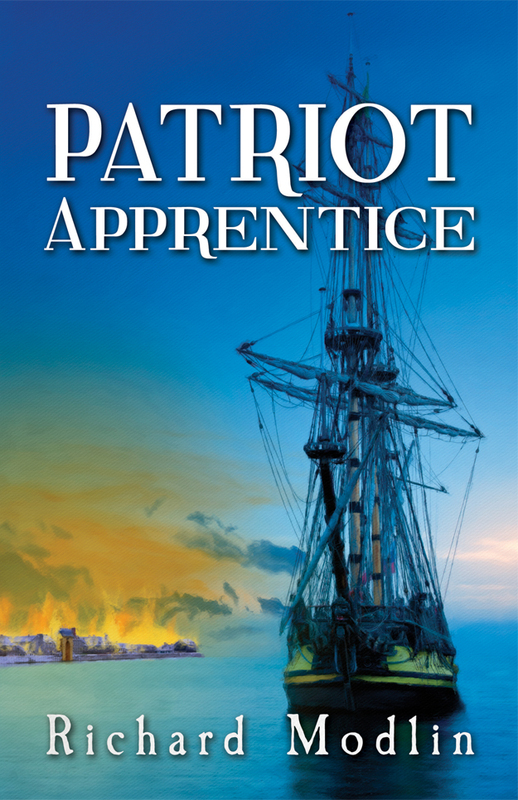 Patriot Apprentice, Modlin’s second American Revolutionary War thriller in the Hollister series, recounts the continued adventures of Jack Hollister. Promoted by George Washington to rank of midshipman, Jack joins real and fictitious patriots in their high seas exploits and their quest for independence. Convinced and reassured by his friend Nathan Hale that his decision to remain in the colonies is courageous and honorable, Jack accepts an assignment on the Piper, one of the first ships of war in George Washington’s fledgling navy. Danger and adventure await as he sets sail aboard this armed schooner. Though jeopardized by Redcoats, renegades, true and despicable loyalists, Jack finds dauntless courage and unfaltering camaraderie among his peers. Richard Modlin continues to highlight the lesser-known battles of the American Revolution and events of early American history. The settings and times for this fast-paced, historically accurate tale are the days following the bombardment of the coastal village of Falmouth, presently known as Portland, Maine. Richard Modlin’s well-crafted, historically accurate, epic tome that will thrill readers interested in the genre of American colonial and nautical adventure. It’s a coming-of-age, plot-driven novel filled with camaraderie that’s comparable to the works of Patrick O’Brien. Survival, adaptation, and self-reliance are the dominant themes as two English brothers experience a perilous Atlantic crossing and unexpectedly become embroiled in the beginnings of the American Revolution. Newfound Freedom finds some of its best moments via the ideological turmoil between main characters, Jack and Ian Hollister, yet the treasures to be found in its pages are almost without limits as the author brandishes his skills as a world-class writer and historian. Modlin served as a senior research associate with the Smithsonian Institute’s National Museum of Natural History. Modlin’s inspiration for the novel found its genesis in the author’s love of history and an extended stay along the east coast in the vicinity of Machias, ME. There he learned of the Battle of Machias, which was the first naval battle of the American Revolution. After visiting the site of the battle and researching the events, people, and culture of late eighteenth century Machias, Newfound Freedom became not only possible, but also an actuality as a thrilling work of high adventure. Indeed, using his superb writing skills, Modlin keeps the reader intimately engaged with the history of the time. In creating the dialogue, the author used only words and expressions that were common lexis in New England, Great Britain, and on the high seas during that epoch in time. The descriptions of the landmarks, events, terrain, and activities are also true to the time. Moreover, the fictional characters in Newfound Freedom interact with actual historical figures such as George Washington, Jeremiah O’Brien, Nathan Hale, Ichabod Jones, and many others. 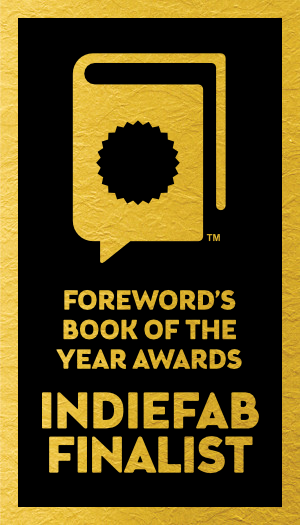 Newfound Freedom has been selected as a Finalist for the ForeWord Review‘s 2013 Book of the Year Award in General Fiction. Selected as Finalist for ForeWord Magazine’s 2008 Book of the Year Award in nature writing, Chasing Wings is a passionate account of Richard Modlin’s encounters with birds and his travels to locations, far and near, to observe feathered vertebrates. Modlin’s descriptions of his interactions with avian species are poignant, humorous, heartwarming, and informative. Follow him as a preschooler, when he captures a blue jay chick and experiences the woes of the parents’ wrath; then when he attempts to befriend a juvenile American kestrel, and years later, a magnificent frigatebird. The author relates how he saved a pied-billed grebe chick from the jaws of a northern pike, how a mute swam got revenge, a trio of starling invaded his attic apartment, and wild turkeys tried to beat their way into his sunroom. More scientifically, Modlin discusses the impact of an overabundance of double-crested cormorants on a fragile habitat and the feeding behavior of black skimmers. Travel with the author in his search to view widowbirds, ostriches, sunbirds, parrots, toucans, hummingbirds and other exotic birds in Kenya, the Seychelles, Grand Cayman, Belize, a raptor aviary in France, and the forests of southern Sweden. Follow him to southeastern Arizona, the coast of Maine, swamps and marshes of Florida, and the beach communities on the Gulf Coast of Alabama. Lists of birds sighted are included at the end of travelogue chapters, as are the details of sites the author visited. Chasing Wings is a necessary read for the millions of individuals, worldwide, who enjoy bird watching and love nature. “Modlin takes the reader across the world observing the beauty of nature through birds and their habitats. Young students of science should read this [book] as an inspiration for the passion that scientists like Richard have for the environment and the life that abounds within.” Dr. John J. Dindo, Senior Marine Scientist and Chairman of the Discovery Hall Programs, Dauphin Island Sea Lab, Dauphin Island, AL. 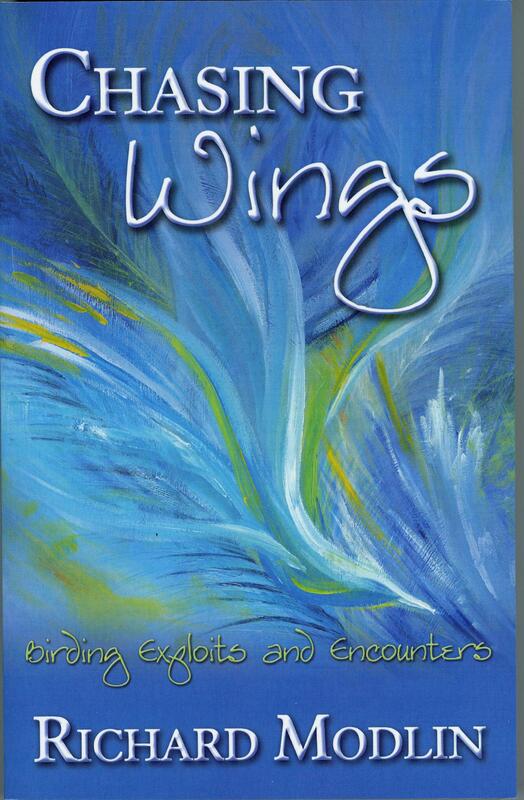 “… a good job of blending personal encounters with birds … with chapters on birding trips. Modlin also did a good job of describing the physical/cultural settings of each birding area so that the reader can develop a mental image of the area to go along with the birds described and listed.” Dr. Paul D. Kettle, Professor and Chairman, Department of Biology, University of North Alabama, Florence, AL. “Modlin brings to you in this set of short nature stories an entertaining collection that spans both a number of decades and several continents. Before you take your next ecotourism trip, long or short, read Modlin’s entertaining collection of experiences and insights into nature …” Dr. Bill McAllister, AICP and life-long birdwatcher. “Modlin’s non-fiction is superb. Clever, compelling verbs kept my interest in his very nice story. His book works as a guidebook for bird-watchers as well, with good descriptions of the places and directions to the sites. Well Done.” Rusty Bynum, author and playwright, Legacy of Galileo. Libraries are full of travel books on Africa, but Malachite Lion is a narrative of an unplanned adventure, a modern odyssey that recounts the mysteries and paradoxes of East Africa. The book describes a journey through the crowded, bustling streets of Nairobi, into the wilds of Masai Mara and Amboseli, to ancient, mystifying Mombasa, electrifying Malindi and the sensuous Seychelles. Much of our experience with today’s East Africa is limited by what we see in natural history documentaries and sensational news stories. For most of us the place is a fantasy, as unreal as Sindbad’s Baghdad. Richard Modlin’s exciting account of his travels through Kenya and the Seychelles will dispel some of the apprehensions that cloak this strange land and its people. His experiences as a scientist and academic have provided him with the skills to interestingly record his provocative observations, interactions, experiences, feelings and thoughts, and transport the reader beyond the confines of a tour bus. Descriptions of his encounters with the variety of indigenous people and wildlife are poignant, humorous and heartwarming. Malachite Lion is a definite read for anyone who has ever dreamed of traveling to East Africa realistically and vicariously. 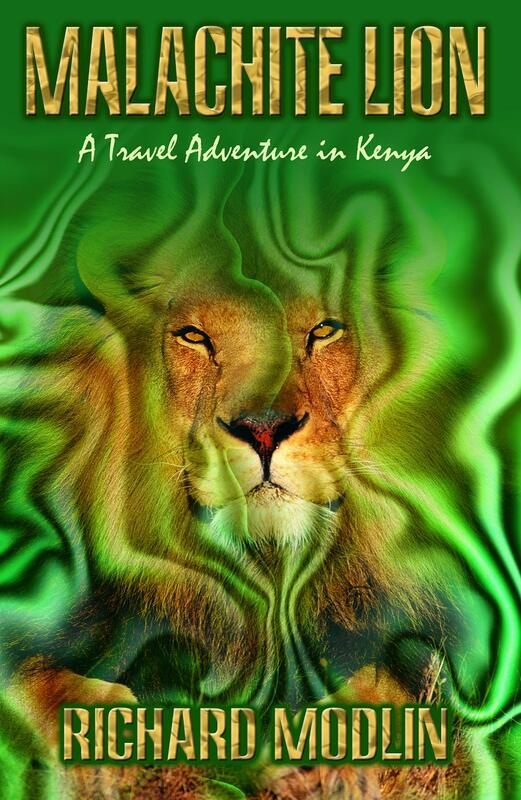 “For those of you who have spent any time in Kenya or East Africa in general, I can recommend Malachite Lion … if you haven’t you will enjoy this piece of armchair travel.” Patty Eby, Union Jack. “… attention to detail of the daily activities of life in Kenya, on safari and just traveling there in general is superb. Written in a style that is very descriptive of the subtle and obvious sights and trials encountered. This book will be a great primer for anyone planning a trip to East Africa.” William Chapman, author and photographer, Face of Tibet. “You may never get the chance to travel to East Africa, but you may be an armchair traveler. If so, this is the book for you. Not that it is limited to the category of travel.” Sara McDaris, The Huntsville Times. Useful information. Lucky me I found your site accidentally, and I am surprised why this twist of fate did not happened in advance! I bookmarked it. Thank you very much for this great article. Great work!